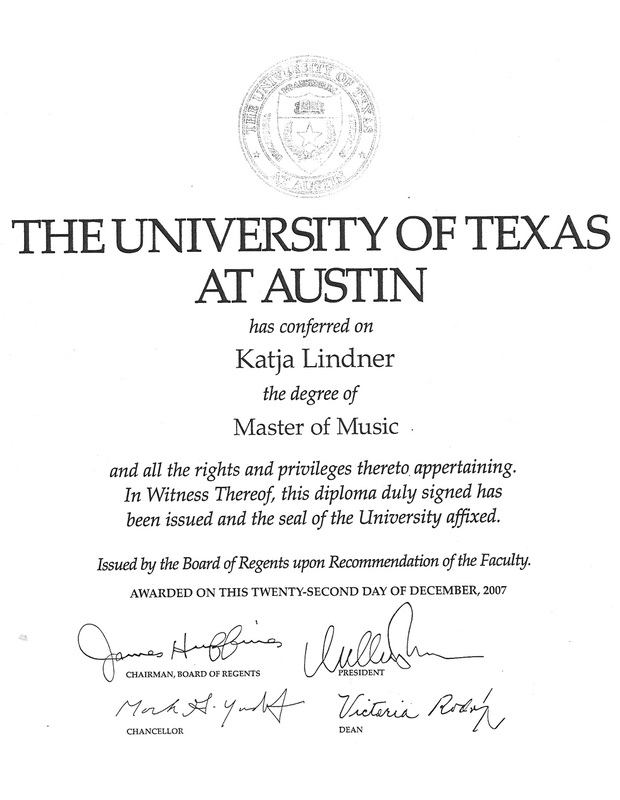 At a very young age, Katja Lindner's interest in and love for both, music and teaching, were clearly noticeable. She started playing the recorder and soon taught her younger sister some tunes to play as well as reading and writing. Still in Elementary School, she joined the choir and started guitar, and then piano and violin. Katja has always enjoyed gaining a better understanding of music theory and then transferring and applying it to different instruments. 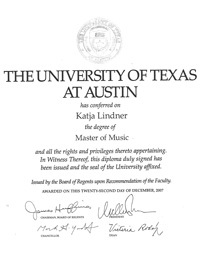 She studied music at the University of Cologne and then came to the University of Texas at Austin with a scholarship from the DAAD (German Academic Exchange Service) to get her Master's Degree in Music. While at UT, she took classes in piano pedagogy and taught in the Piano Project. She also observed lessons and taught in the String Project at UT. While a music student in Germany, Katja has been teaching privately (first in 1999). 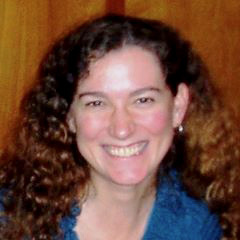 In Austin she has been teaching at UT as part of her Master's Program in the Piano Project, the String Project and at UT Informal Classes as an instructor for adult students. She has been at the Briarcliff Music School since 2009. Since teaching at the Briarcliff Music School, her students have been participating in the State and District Festival and ABRSM exams and received good scores. In 2011 some of her students were state winners and a six year old student received a “distinction” in his grade 1 ABRSM theory exam and then another distinction when taking grade 2 at just seven years old. She enjoys preparing her students for the festival and the exams and likes to see them succeed. Katja wishes that her students come prepared to the lessons through regular practice at home. Especially for the younger students it is important that the parents support them in building regular practice habits. Practice needs to be more than just playing pieces a certain amount of times: it is important to focus on some parts separately, most times at a slower tempo and then go back to the piece as a whole and integrate the separately practiced part, also at a slower tempo first and once mastered, at a faster pace if the piece requires that. Also scales, theory and sight reading should be practiced. With regular and good practice habits at home students will get the most use out of their lessons. A piece needs to be reviewed until it is fully learned. Good technique and artistry are also emphasized and that the piece will be played musically. Memorization is sometimes required but not always. Theory is an important part of the lessons, too, because it is vital to have a good understanding of theory in order to become a better musician. A good understanding of what is going on in the music naturally helps to play the music better, too. When pieces are learned, we often play duets in the lessons, because this improves the sense of rhythm and helps listen to each other. It is fun at the same time. After pieces have been learned, it is very valuable to review them and perform them for family members, friends and other occasions besides the regular recital. Katja is concerned that there is always progress with each student. She is very aware that each student is different and sometimes a different approach is needed for a different person. If a student learns quickly, pieces can be skipped or students can move to a higher level if they master what they are currently working on with ease. Students that practice regularly and attentively can often move to a higher level. Since she likes her students to succeed, she is concerned that each student reaches his or her full potential. She is personally concerned about each of them and tries, although teaching them all the same curriculum, to reach them all also on a personal level.